Microsoft has updated Skype for Android with a focus on security improvements along with the usual bug fixes and general enhancements you can expect with each release. The update also brings end-to-end encryption for Skype conversations between family and friends to ensure privacy. The official change-log for version 8.26.0.70 also mentions improvements to Bluetooth, so anyone who has been using Bluetooth with Skype should notice improvements. While this isn't a major update with new features, under-the-hood improvements are always appreciated, especially when an update focusses on security in an era where it always comes under scrutiny. If you have Skype for Android installed on your device, you can download the update through the Google Play Store. 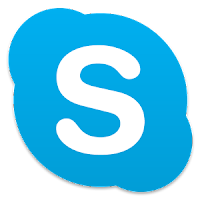 You can also directly download Skype for Android using the following link.